Jonny QuestChris McKay Jonny Quest Movie News warner bros. The Lego Batman Movie director Chris McKay will be reteaming with Warner Bros. on a long-awaited live-action adaptation of the classic Hanna Barbera animated adventure series Jonny Quest, according to The Wrap. An adaptation of the series has been in the works for years now, with Spy Kids‘ Robert Rodriguez originally set to direct the project back in 2015 and previous drafts of the script being written by Godzilla vs. Kong‘s Terry Rossio and Wrath of the Titans‘ Dan Mazeau, with no word being given on who is penning the script for the upcoming adaptation. 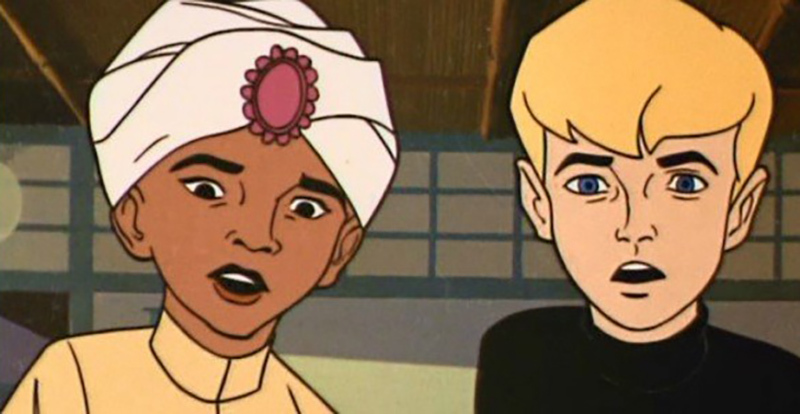 The original Jonny Quest ran from 1964 to 1965 and followed Quest, his father Dr. Quest, bodyguard/government agent Race Bannon and Dr. Quest’s adopted son Hadji as they globetrotted on various adventures. A Quest film has been in development for quite some time, with a project featuring Zac Efron (The Greatest Showman) as Quest and Dwayne “The Rock” Johnson (Rampage) as Bannon making the rounds in 2009. The Goonies director Richard Donner even attempted bringing the cartoon series to the big screen as a live-action film in the mid-90s. McKay is also still attached to the in-development Nightwing film adaptation for the DC Extended Universe at Warner Bros. and is set to direct a live-action adaptation of the table top game Dungeons & Dragons for Paramount Pictures, which is set to hit theaters on July 23, 2021.